For those pyromaniacs amongst us having a garden bonfire is the perfect follow on to Bonfire night, but in a smaller scale and where you are in charge. If you have been gathering garden rubbish together there is nothing quite like a good bonfire and the smell of burning wood and garden rubbish. What is it about a fire that holds our gaze? I think it is a primal feeling, grounding, a natural feeling which brings out our caveman instincts. What does the word ‘bonfire’ mean? Between the mid 13th and 14th centuries in England it meant a ‘bone fire’, a fire with bones for fuel and as unpleasant as that may seem, that is how it derived its name. Since that point the use of a bonfire has moved on. It is a way of disposing of burnable waste material in a controlled manner, and can be a very large or just a small heap. Bonfires over the centuries have not only been a way of burning rubbish, but have burnt all over the globe at different times of the year to celebrate life, spiritual beliefs, rituals and festivals. In the UK we celebrate the Gunpowder Plot on the 5th November, which was an attempt to destroy the Houses of Parliament in London; which thankfully was foiled. In other parts of the world including Japan, Lithuania, India and Israel, bonfires are lit to celebrate religious festivals and events in history. With many ‘do’s and don’ts’ on what you can and can’t put on a bonfire, always make sure that you follow the code of practice. Putting the wrong items to burn on a bonfire can cause smoke pollution, explosions and nasty smells in the air. Building a perfect bonfire I hear you say is ‘easy’. However, I never realised there is such an art to their construction or they could be so interesting, it is not a case of just throwing the rubbish into a heap. To use when your bonfire has got established. Consider wind direction and the way the smoke will drift once lit. Build it on open ground away from buildings and other flammable items. Keep windows shut so that the smoke does not drift into your home. Have a hose pipe or water supply ready should it get out of control to dampen it down or extinguish the flames. If you have been building your bonfire for sometime, check that animals have not taken shelter under it before lighting. Use the wood ashes for fertiliser on the garden flower beds. Leave children and small pets unattended or near a lit fire. 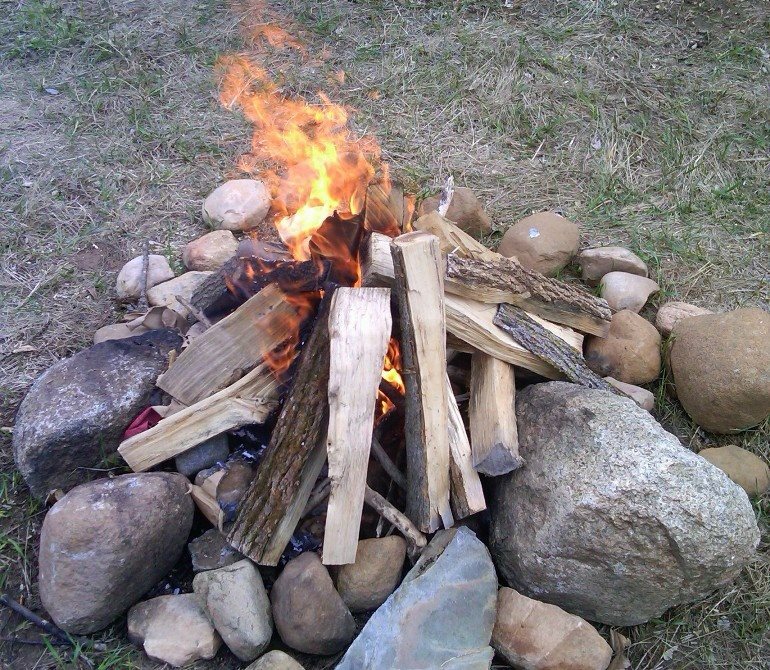 Build a bonfire close to your house or next to a fence. Put things on a bonfire that will cause smoke, explode or cause toxic pollution. 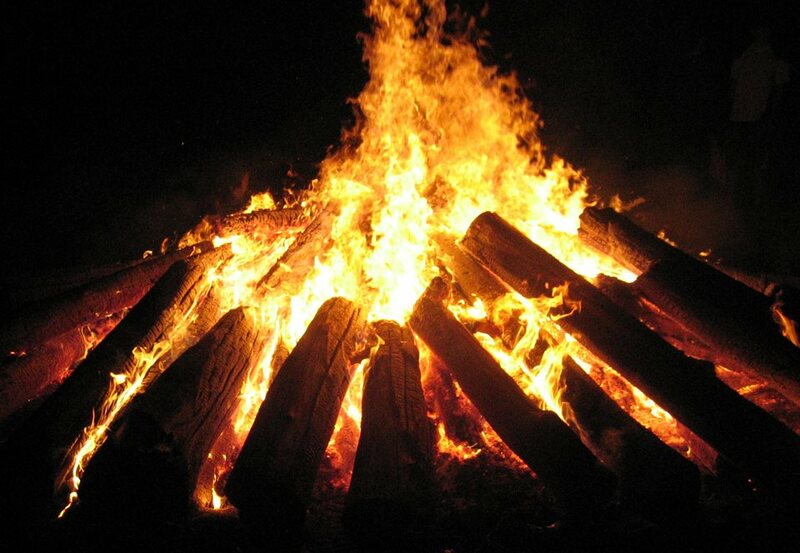 ALWAYS stand at a safe distance from the bonfire once it is lit. Many of us having our own ideas and family instructions on how to build the perfect shaped bonfire. It can give you as much pleasure building it as seeing it burn. We usually expect to see yellow and red flames in our fires, but depending on what is burnt other colours can include white, blue, green, and violet. Colours can also be changed by adding certain chemicals. 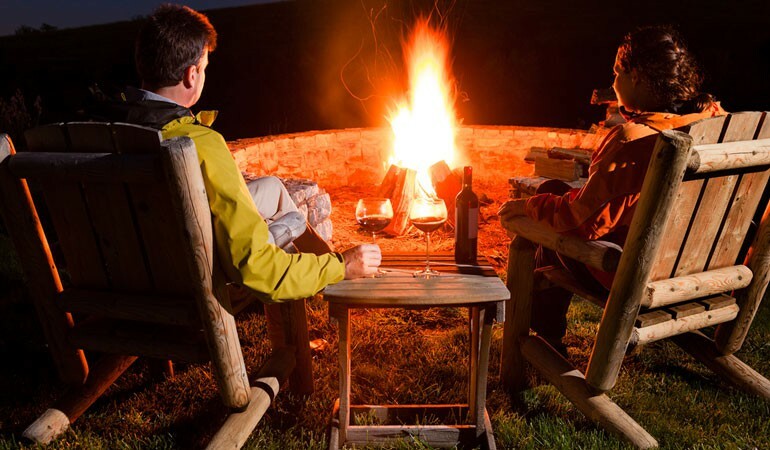 If you are yet to have your first garden bonfire of the year and need a little guidance, why not take a look at the Bonfire code issued by the Fireservice, which will advise you what to do. With an estimated 30,000 complaints to councils and local authorities each year about bonfire that cause a problem to neighbours, make sure yours is not on of them!